Here is a lovely post on the opening ceremony…. Fun to read historical fiction! This suspenseful novel is told from the point-of-view of Liza, a young lady who, because of the death of her parents, must seek employment rather than enter society as other young girls of her age and social standing. With the help of a family friend, she goes to Kensington Palace to interview what she thinks is a Lady in Waiting position but is actually an interview for the Princess’ new maid. Liza soon gets an education in life below-the-stairs as well as above-the-stairs and readers will too. Liza initially is interested in earning money to get her possessions out of debt but grows fond of the princess and they establish a friendship. Because Liza is smart, she hides the fact that she speaks German so that she can spy on Princess Victoria’s mother and Sir John, her lover and keep Victoria informed of their actions. They conspire to maintain control of Victoria and her future as Queen. Ultimately, Liza and Victoria use the power of the press to gain control. This idea is not without tremendous risk and some terrible consequences for several important people. Readers are certainly able to draw comparisons to today’s press and the treatment of public figures. A lesson on the history of press in England and in the United States would fit nicely with this novel. This novel uses Princess Victoria’s actual journal entries and there is much history to be learned by readers. This is exactly how I love to get my history lessons- it so much more interesting to learn via a well-researched fictional character or a historical figure’s point of view than memorizing facts and dates. This author did a fantastic job of giving meaning to the time and the life of Princess Victoria that no middle school history text can compete with. 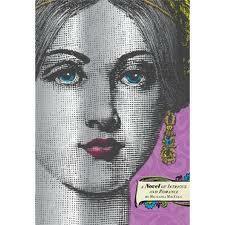 It would be wonderful to read this novel and then watch the movie The Young Victoria(2009). I highly recommend MacColl’s novel, the writing is outstanding, the characters are engaging and readers can’t help but fall in love with Liza and the Princess. These books will leave you breathless! Talk about consistency! A book by Roland Smith is a guaranteed hit no matter what his topic! As a parent and teacher I appreciate that his characters are sharp, and think out side the box. Storm Runners is no exception. Chase and his father become storm chasers after two life-altering experiences. The pair, along with Tomas, a life-long friend’s of John’s, run to the locations of natural disasters. John and Tomas help the community prepare in advance and then return after the weather event to help repair or rebuild…for a large fee. The weather event that is the center of Storm Runners and Storm Runner 2: The Surge is Hurricane Emily. As a native Floridian, believe me when I say that we are always watching the weather from June 1st – December 1st. If you haven’t experienced a hurricane, you will certainly feel like you have when you finish these two books. Chase, Nicole and Reshawn, a group who are literally thrown together in this storm, are stuck out in the middle of a category 5 storm. While each very different, they make a great team and manage to find their way back to Nicole’s farm, winter home of her family’s circus. There are lions, tigers, bears, a pregnant elephant and a leopard named Hector. What becomes of the kids, their parents and the circus menagerie? You’ll need Storm Runners and Storm Runners 2: The Surge to find out. Don’t make the mistake of starting one and not having the 2nd and 3rd handy. Your kids will hate you for it! 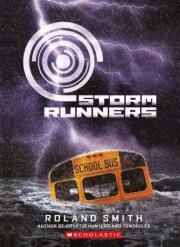 Storm Runners 2:The Surge transitions very organically into the 3rd book Strom Runners 3: The Eruption. My kids and I will be starting it tonight. I recommend this series for any middle grade student but particularly for those who aren’t inclined to pick up a book on their own. If you are looking for a book by Roland Smith to assign to your class, I’d recommend Elephant Run. It is about World War II and a part of the world kids don’t often hear about: Burma. There are endless possibilities for this book and a teaching guide on Roland Smith’s website that is wonderful. If you allow your child to have a Facebook account or have one of your own “Like” him on his Facebook page. He has monthly contests and posts regularly. It’s nice to know everyone thinks their family is a little crazy…. To prove my point that Caroline B. Clooney is so versatile, I read Family Reunion. The narrator is a middle school aged girl named Shelley who is spending the summer in Vermont with her younger brother Angus and her stepmother Annette. Her Dad is commuting back and forth to New York. Shelley, like most girls her age, is generally appalled by her brother who is know for crazy stunts like selling timeshares for the bomb shelter located in the backyard. Once discovered, it is up to Shelley and Annette to accompany Angus to return the money he collected to each and every person who purchased time in the shelter. Shelley perceives Annette to be in way over her held in the stepchild department. Annette is so mortified by Angus and the timeshares, she wonders if she can show her face in the market for the rest of the summer. Meanwhile, Joanna, Shelley’s older sister, is spending the summer with their mother and her new husband Jean-Paul in France. Shelley isn’t on speaking terms with her mom since she and her husband moved to France. Now, throw in a Midwestern family reunion with Shelley’s Aunt Maggie and her family- AKA the Perfects and things get even more complicated. Does Shelley’s dad have a son he has never mentioned? Will Joanna come from France to attend? Will the Perfects be nice to Annette? This is a hilarious book. Shelley’s voice is funny and insightful. Angus is a charmer. This is a quick read and Shelley rings true as a girl trying to come to terms with her family and herself. There is even a little romance sprinkled in! I have wanted to read this book for over a year now and it did not disappoint! Herlong tells the desperate tale of a family grieving for their mother who was killed in a car accident. The father, overwhelmed with grief, is unable to help his three children, Ben 15, Dylan 11, and Gerry 5 deal with their loss. His remedy is to sell their home, take a year off from his teaching position and take the family on a year-long sailing adventure on board The Chrysalis in the Bahamas. The narrator, Ben, is devastated. He feels helpless to stop the events, angry at his father for being the Captain both on and off the ship and fearful of losing his memories and his mother’s belongings. There are times when Ben is able to enjoy their trip; swimming, exploring, playing on the beach with his brothers but these times are often over shadowed by his anger and frustration when an board the small sailboat. About six months into the trip Ben’s dad literally changes the course of their journey. 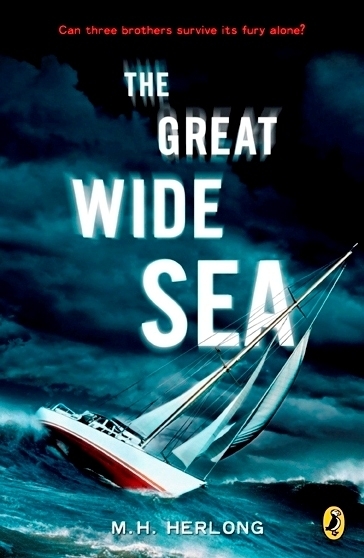 The events that unfold are gripping and the reader is in the boat for the duration of the trip! This book would be a great recommendation for independent reading or to read in literature circles. Herlong’s novel is a great conversation starter. I am interested to hear the middle school reader’s opinions on the father and his reaction to his wife’s death. With my students I would discuss empathy and how Herlong gets the reader to empathize with Ben and his family. The name of the boat and its symbolism will also be interesting to students. The actual journey and the emotion journey that Ben and his family take is also something to discuss with our students and parents with their children. Delacorte Press, Random House Children’s Books. Caroline B. Clooney is a Young Adult writer I can count on. She has written novels on a range of subjects so I can generally find a book by her to recommend to any child. The Ransom of Mercy Carter is no exception. This novel is based on the Mohawk ambush of Deerfield Massachusetts in February of 1704. Clooney’s novel follows Mercy, a mature 11 year old already responsible for the care of her younger siblings. She is one of 100 plus English settlers captured and marched towards Canada by the Indians. Like Mercy, many of the captives are children. Many of the captives don’t survive the 300-mile march. Mercy and the other child hostages are spread out among the Indian families and the French families in Canada. Some are holding on to hope that the English will send ransom and save them. Others assimilate and become part of an Indian family. Mercy struggles for survival and with finding her place in the culture she has been thrust into and the reader accompanies her on the journey. I think this book is an excellent read for 7th and 8th grade students. It gives readers a look at a time period they are probably unfamiliar with and will most certainly motivate the readers to learn more.